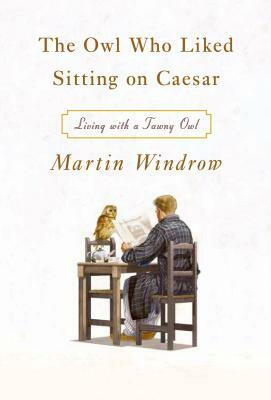 When in the summer of 1976 Martin Windrow - military historian, bachelor, and "not particularly an 'animal person'" - broke his back in a parachuting accident, he made a natural but life-changing decision: he wanted an owl. Thus begins a memoir that will appeal most strongly to animal lovers and ornithologists, but whose value as a tale of companionship, related with generous humor and gruff grace by a writer who has mastered his craft, is universal. I cannot recommend this book highly enough. As Windrow writes: "Mumble was so much a part of my life in those days that the oddity of our relationship seldom occurred to me, and I only thought about it when faced with other people's astonishment. When new acquaintances learned that they were talking to a book editor who shared a seventh-floor flat in a South London tower block with a Tawny Owl, some tended to edge away, rather thoughtfully . . . I tried to answer patiently, but I found it hard to come up with a short reply to the direct question 'Yes, but . . . why? '; my best answer was simply 'Why not?'" Martin Windrow is an English military historian and a long-time commissioning and art editor for Osprey Publishing. He is the author of numerous books of military history, including The Last Valley, a distinguished history of the French defeat in Vietnam. He lives in the Sussex Downs country of southern England.